Often with more luck than judgement, they set out to create something amazing, with great food, a real buzz, and plenty to look at - a place for everyone. 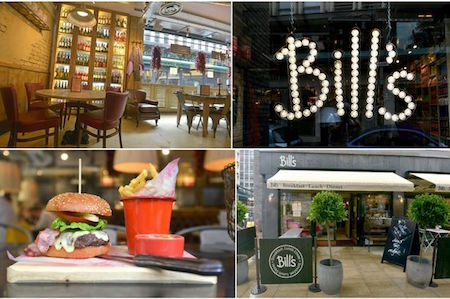 Bill's Manchester, 8-12 John Dalton St, Manchester, M2 6JP. Since then they’ve grown. But those values they had back then - to serve really good food, to make sure every customer has a good time, and go that bit further to make sure Bill’s is always somewhere people want to come back to - are still the same.